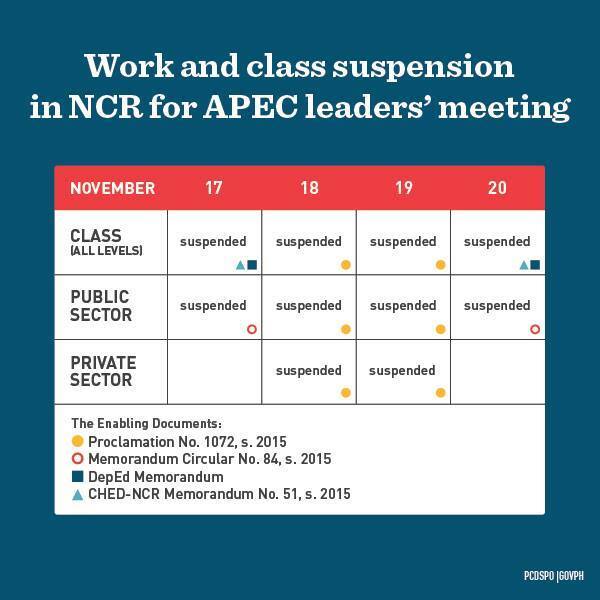 MANILA, Philippines - The Commission on Higher Education (CHED) announced on Monday, September 21, 2015 the suspension of classes in the "college-level" on November 17 and 20 due to APEC Leaders' meeting in Metro Manila (NCR). CHED declares November 17 (Tuesday) and 20 (Friday) to contribute to the security of the APEC Leaders and avoid road infractions/traffic alterations. 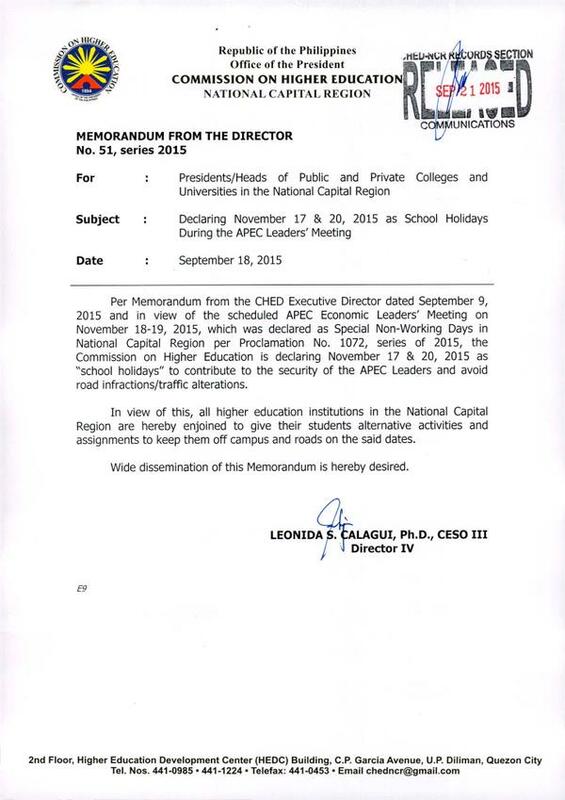 Memorandum from CHED Executive Director dated September 9, 2015 is in view of scheduled APEC on November 18-19, 2015 which was declared special non-working days in NCR per proclamation No. 1072, series of 2015. "In view of this, all higher education institutions in the National Capital Region are hereby enjoined to give their students alternative activities and assignments to keep them off the campus and roads on the said dates," CHED NCR said. The Asia-Pacific Economic Cooperation (APEC), to be attended by twenty-one (21) world leaders is a regional economic forum established to leverage the growing interdependence of the Asia-Pacific.